This Oakville custom kitchen was part of a home renovation project completed by Toronto Custom Concepts. 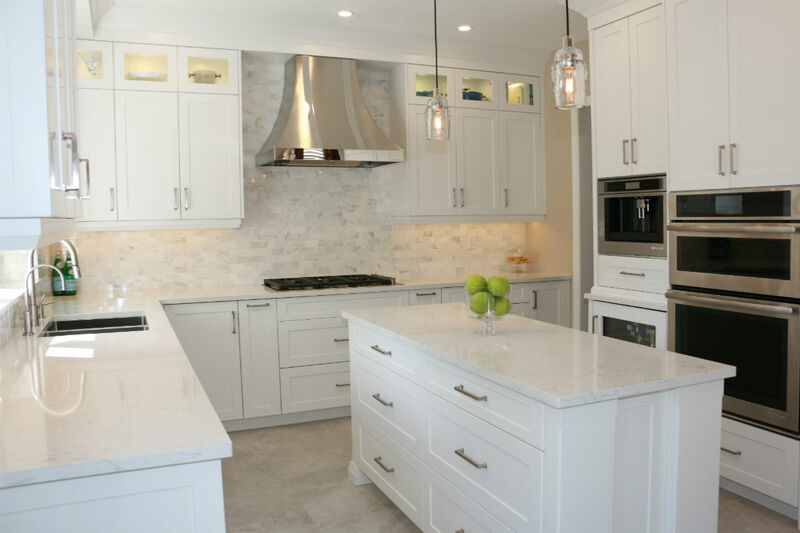 This beautiful kitchen includes custom Cambria quartz countertops with custom white cabinetry this extends to the ceiling with frosted display cabinets along the top of the upper cabinets. This Oakville custom kitchen includes a beautiful design in which our clients wanted us to open up the wall on the right side to make a pass thru walk-way to the dining room. Another amazing aspect of this beautiful Oakville custom kitchen is its attention to detail...As you can see the backwall has incorporated the latest in built in technology and functionality which included built-in panelled fridge, built-in wall oven, built-in wine fridge and an amazing built-in espresso maker! This kitchen has it all! This highlight of this Oakville custom kitchen in our eyes is the stunning centre-piece of the stainless steel stove hood. This hood is classy and is an amazing focal point for this custom kitchen. Growth 500 Canada 2018 TCC is #96!